Fact-checking journalists tend to err on the side of the left. Which makes their fact-checks mostly distorted and not exactly facts at all. However, Google is here to facilitate these journalists and their needs: with a new search engine tailored just for them. Poynter reported on October 2 that the Google News Initiative launched a beta version of the search engine made specifically to pull up fact-check pieces from Snopes, Politifact, and other sites. Fact-checks by other outlets tend to be biased towards a certain group. In the haste to discredit every single word uttered or typed by President Trump, CBS/Associated Press claimed that Trump was “wrong” to name the Steele dossier as a Clinton campaign document. Even though the document was, in fact, funded by the DNC, Trump was still incorrect by the liberal media’s standards. 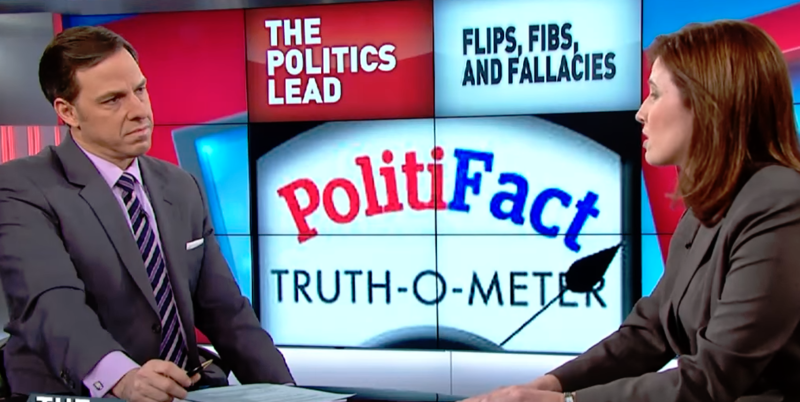 When it comes to liberal figures in politics, fact-checkers pull out the red carpet. Kamala Harris has received 5 Mostly Trues, two Trues, and two Half-Trues from Politifact. If she were Republican, those Half-Trues would most likely be inverted to Half-Falses. ← Twitter Bans Doxxing, But Why Are Antifa Accounts Still Active?